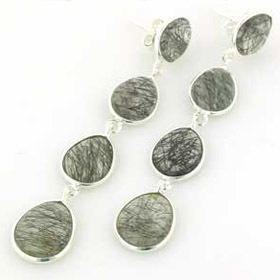 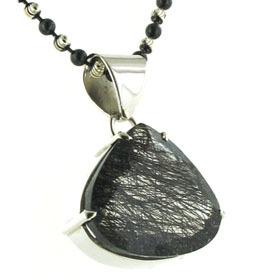 Black rutilated quartz pendant claw set in silver. 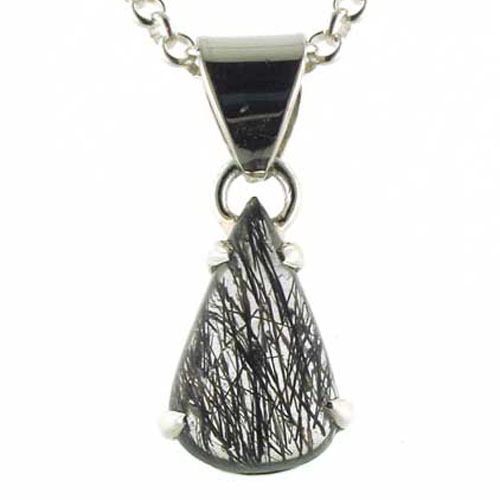 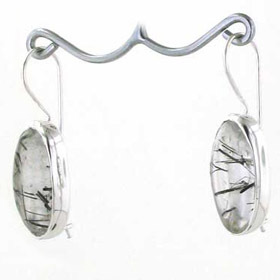 This gemstone is mounted on a sterling silver crown and held in place with 4 claws. Inside this clear crystal are black needles of tourmaline which are unusually more or less vertically aligned. 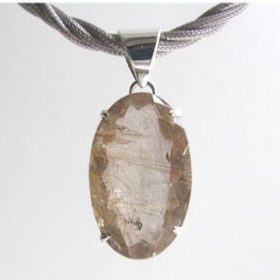 Also known as tourmalinated quartz, this is an intriguing semi-precious gemstone which creates a unique piece of jewellery. 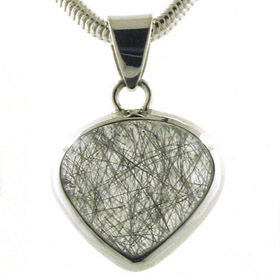 The pieces we are offering have been hand selected for crystal clarity and rutilated pattern. 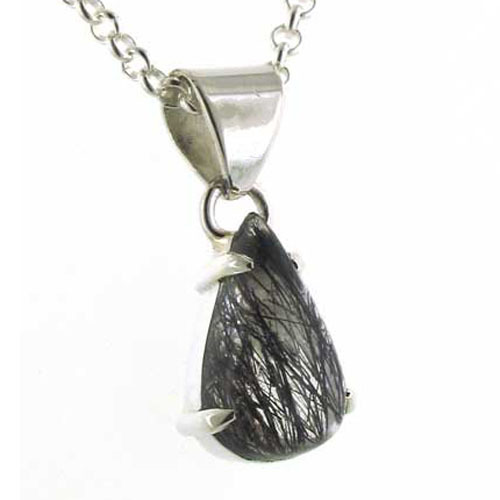 To choose a chain to complement this dainty pendant, see our extensive collection of Italian sterling silver chains. 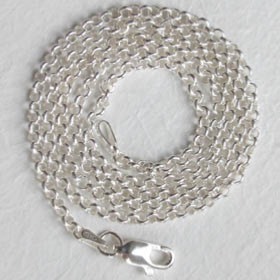 The chain shown with this pendant is our 2.5mm belcher chain (see below).